Description: After completing required hand seals, user is enveloped in a flaming aura. The user is shot into the air by a powerful blast of Katon Chakra that can leave up to a 3 meter crater in the ground. Once in the air, the user can can detonate another blast of Chakra that will rocket them toward their target at a speed of 25 m/s. The user will streak through the air like a comet, completely enveloped in flames and will attempt to crash into their target. The user will crash back to earth with enough force to create a 6m radius crater and flames burst from the user out to the edge of the crater. Anything caught in the radius will suffer minor 3rd degree tissue burns on exposed skin and the concussive force could brake bones. Description: After completing the required hand signs, user extends their palms forward and flames flow from their arms. The flames take the form of a wolf that stands 102cm tall at the shoulders and is 2 meters long from nose to tail. As it is made entirely of chakra infused fire, anything it comes in contact with will suffer minor 3rd degree burns and it will even leave a trail of smoldering paw prints that could set fire to flammable objects it walks on(example being grass or wooden floors). It acts as a fire and forget technique, chasing after its designated target until it's duration has ended or it has been dispelled by a sufficiently ranked Technique. It tracks the target through the targets unique heat signature and It will attempt to bite and latch on its target. It's bite is strong enough to break bones and for every post it is latched on to its target the tissue damage will increase (first post leaving minor 3rd degree burns, second post leaving moderate.) The wolf moves at 25 m/s. Alternatively, the Wolf can be put into 'guard mode' in which it will patrol a 6m radius around the user. Any hostile ninja that enters the 6m radius will be attacked in the same manner as when then the Wolf is in 'attack mode', while non-hostile ninja may pass through the radius without harm. 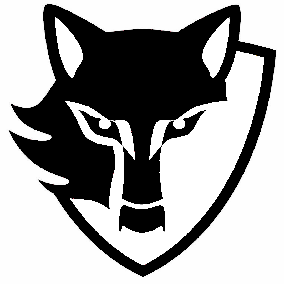 In 'guard mode' the wolf will respond to the users will on who is friend or foe. Which mode the wolf is in must be stated at the beginning of the technique and can not be changed during it's duration. Activation: One handed Tiger seal. Description: After forming a one handed Tiger Seal, the user concentrates Katon Chakra into the air around them. The chakra manifests into highly compressed arrows, it's arrow head in the shape of a roaring Dragon. The arrows will hover in a circle before the user and will come to his/her hand with a thought. Three arrows are manifested at a time, however as one is used another takes it place until the technique is ended and the last arrow is fired. Able to break bones with concussive force, while dealing minor 3rd Degree tissue damage. This Jutsu is incapable of firing the arrows, merely manifesting them and thus requires a bow to fire the tangible fire arrows. Description: Developed to make use of the Kimura KKG. User inhales and molds the Katon Chakra in their lungs. User then expells a volleyball sized fireball from their mouth that travels at 35m/s for up to 40 meters. When the fireball comes within 5 meters of a target it will rapidly expand outward to form a 6 meter orb of Katon Chakra trapping it's target in a spinning orb of Fire. As the orb swallows the target it will deal major second degree burns at initial contact and due to the super heated air inside the orb, the level of tissue damage will increase with each post until the duration has ended or the target breaks free using B-rank or higher Strength. However doing so, they will receive the increased tissue damage for that post as they must force themselves out of the fiery Orb. Description: Developed to make use of the Kimura KKG. User inhales and molds the Katon Chakra in their lungs. Instead of exhaling the molded chakra, it surges through the users body imbuing their muscles with highly active Katon Chakra allowing the users movements and speed to be enhanced by 35m/s. Due to the active Katon Chakra flowing through the users muscles, this technique grants extremely fine muscle control, allowing the user to instantly accelerate and stop at will. Duration: 1 post + maintained. Description: This technique costs 30 chakra to use. By infusing their hair with chakra the user is able to increase its length to cover the entire body in long protective quills while increasing its durability significantly, creating a cocoon of razor-sharp hair needles that can be controlled by the user. Each individual hair becomes 6in in length and hardens to a steel-like consistency, able to pierce up to 2in into anything that moves against the hair until the jutsu’s duration ends. In addition the cocoon of durable quills acts as an effective barrier against incoming attacks, able to defend against 1 A-Rank, 2 B-Rank or 3 C-rank jutsu/techniques before being penetrated. Needle Jizō can be expanded to protect one additional person within arms reach for free, or for an additional 5 chakra Needle Jizō can be expanded to grab and pull one willing person into its protective cocoon. During this Needle Jizō will move at 25m/s up to 25 meters away. Regardless of how it is expanded it may only protect up to two people, the user and one other. After this jutsu is finished the user’s hair returns to its original length. Description: An entirely offensive form of the Needle Jizō technique. User infuses their hair with chakra turning it into long needle like quills which harden to a steel-like hardness. At will(once per post) the user can launch a barrage of hair senbon moving at 35m/s and each senbon can pierce up to 2 inches. The barrage has a 40 meter range and is concentrated into a 6 meter radius area of effect. For an additional 5 chakra the area of effect can be expanded to 15 meter radius. Alternatively, Kennosuke can spend 5 additional chakra to imbue the hair senbon with Katon chakra, heating the senbon to the point of leaving minor 2nd degree burns as well. Once jutsu has ended users hair will return to normal. Description: This technique costs 30 chakra to use. By infusing their hair with chakra the user is able to increase its length to cover the entire body in long protective quills while increasing its durability significantly, creating a cocoon of razor-sharp hair needles that can be controlled by the user. Each individual hair hardens to a steel-like consistency, able to pierce up to 3cm into anything that moves against the hair until the jutsu’s duration ends. In addition the cocoon of durable quills acts as an effective barrier against incoming attacks, able to defend against 2 B-Rank or 4 C-rank jutsu/techniques before being penetrated. Needle Jizō can be expanded to protect one additional person within arms reach or can be expanded to grab and pull one willing person into its protective cocoon. During this Needle Jizō will move at 50m/s up to 40 meters away. Regardless of how it is expanded it may only protect up to two people, the user and one other. After this jutsu's duration has ended the hair thay was grown sheds off, leaving their hair at its normal length. Description: After completing required hand seals, user is enveloped in a flaming aura. The user is shot into the air by a powerful blast of Katon Chakra that can leave up to a 5 meter crater in the ground. Once in the air, the user can can detonate another blast of Chakra that will rocket them toward their target at a speed of 50 m/s. The user will streak through the air5 like a comet, completely enveloped in flames and will attempt to crash into their target. The user will crash back to earth with enough force to create a 10m radius crater and flames burst from the user out to the edge of the crater. Anything caught in the radius will suffer minor 3rd degree tissue burns on exposed skin and the concussive force caused displaced fractured. Description: After completing the required hand signs, user extends their palms forward and flames flow from their arms. The flames take the form of a wolf that stands 102cm tall at the shoulders and is 2 meters long from nose to tail. As it is made entirely of chakra infused fire, anything it comes in contact with will suffer moderate 2nd degree burns and it will even leave a trail of smoldering paw prints that could set fire to flammable objects it walks on(example being grass or wooden floors). It acts as a fire and forget technique, chasing after its designated target until it's duration has ended or it has been dispelled by a sufficiently ranked Technique. It tracks the target through the targets unique heat signature and It will attempt to bite and latch on its target, effectively holding the target in place and requiring a STR of B rank to break free. It's bite is strong enough to cause displaced fractures and The wolf moves at 50 m/s. Alternatively, the Wolf can be put into 'guard mode' in which it will patrol a 10m radius around the user. Any hostile ninja that enters the 10m radius will be attacked in the same manner as when then the Wolf is in 'attack mode', while non-hostile ninja may pass through the radius without harm. In 'guard mode' the wolf will respond to the users will on who is friend or foe. Which mode the wolf is in must be stated at the beginning of the technique and can not be changed during it's duration. Range: 20 cubic meters of smoke. Description: After forming the Horse hand seal, the user inhales deeply and kneads Katon Chakra into their lungs. Upon exhale the user expells up to 20 cubic meters of thick, black, Chakra-laced smoke. While the smoke itself is not toxic, it is hard to breath and can cause coughing fits if one is in the cloud for too long. The thick smoke obscures normal line of sight, but Chakra sensing techniques or Dojutsu are unhindered. Those with B-Rank perception stat can see shadowy movement within the smoke at approximately three meters of themselves. Individuals with A-rank or higher perception stat can see minor details within the obscurity of the haze. Description: After forming the correct hand seals, the user inhales deeply and kneads Katon Chakra into their lungs. Upon exhale the user expells thick, black, Chakra-laced smoke that will fill a 25 meter radius moving at 25m/s. While the smoke itself is not toxic, it is hard to breath and can cause coughing fits if one who isn't used to it is in the cloud for too long. The thick smoke obscures normal line of sight, but Chakra sensing techniques or Dojutsu are unhindered. Those with B-Rank perception stat can see shadowy movement within the smoke at approximately three meters of themselves. Individuals with A-rank or higher perception stat can see minor details within the obscurity of the haze. Description: Fire Release: Burning Ambition is a fire release technique that heavily augments the user's mobility using high-speed ejection of high pressure fire akin to jet propulsion, allowing them to move at speeds up to an additional +15m/s of their maximum burst speed. Maximum travel distance is 15m. These jets can manifest anywhere on the user, allowing them to quickly dodge attacks or rapidly maneuver themselves within a 3d space as opposed to 2d. When used to climb vertically, the user is only capable of reaching heights of 30 meters above the ground before the propulsion becomes unstable and too difficult to control. This is not sustained flight, however, as it only occurs in bursts. It can also be used to quickly increase the speed of a strike depending on where the jets are manifested. Although not the intended purpose of the technique, the plumes of flames produced by the jets can inflict moderate first degree burns and set fabric alight on contact. Each post that this technique is used reduces the user's speed by 1 tier (up to -2 tiers after 2 posts) for 2 posts after the technique is ended. Description: Fire Release: Burning Ambition is a fire release technique that heavily augments the user's mobility using high-speed ejection of high pressure fire akin to jet propulsion, allowing them to move at speeds up to an additional 40m/s of their maximum speed. These jets can manifest anywhere on the user, allowing them to quickly dodge attacks or rapidly maneuver themselves within a 3d space as opposed to 2d. When used to climb vertically, the user is only capable of reaching heights of 25 meters above the ground before the propulsion becomes unstable and too difficult to control. This is not sustained flight, however, as it only occurs in bursts. It can also be used to quickly increase the speed of a strike depending on where the jets are manifested. Description: The user releases chakra localized to one section of their body, and bleeds chakra from their skin that quickly hardens into dragon-like scales. These scales can be formed anywhere on the body and are not limited to limbs, however, the total area covered cannot exceed one "area" of effect (one entire limb, or half of the user's torso (sides/front/back). The colour of these scales varies on creation depending on the user, and cannot be changed after the technique has been cast. Basic strikes, including non-chakra enhanced projectiles and weapons, up to SS-2 Strength are blocked and have their damage dampened. Additionally, this chakra acts as a localized defense against incoming chakra, effectively blocking up to one B-Rank, two C-Ranks, or three D-Rank techniques, and an indefinite number of E-Rank techniques and below without injury to the user. Senjutsu: If Senjutsu is applied to this technique, the user is capable of defending against one additional technique of the same rank, or two of the rank below. Description: Dragon Shroud is a technique that requires the user to bleed chakra from their tenketsu, which harden in layers over the user's skin. This hardened chakra takes on the appearance of blood red scales, and cover the entirety of the user's body within a single post. The user sustains additional changes to their body as well: their ears are elongated, their eyes lose their pupil and iris and instead glow white, and their mouths glow a similar white while their teeth become sharp. These changes are cosmetic and serve no purpose beyond the aesthetic of the technique. These scales allow the user to withstand up to 1 technique of one rank above. Description: The user inhales a large breath, filling their mouth and lungs with chakra, then convert this chakra into a gaseous substance. This gas, while partially invisible to the naked eye, does distort light slightly, and permeates a distint, noxious odor. When exhaled, this gas spreads at speeds of 10m/s to cover its 9-meter radius. When exposed to another fire nature technique, the gas adds its radius to the paired fire nature technique, and uses the paired technique's damage value, which is spread across the radius at 10m/s. [b]Description:[/b] The user inhales a large breath, filling their mouth and lungs with chakra, then convert this chakra into a gaseous substance. This gas, while partially invisible to the naked eye, does distort light slightly, and permeates a distint, noxious odor. When exhaled, this gas spreads at speeds of 10m/s to cover its 9-meter radius. When exposed to another fire nature technique, the gas adds its radius to the paired fire nature technique, and uses the paired technique's damage value, which is spread across the radius at 10m. Description: A technique where chakra kneaded inside the body is converted into fire and expelled from the mouth, either as a massive 10-meter large sphere or as a 25-meter long, 5-meter radius continuous flame-thrower. The released flames will engulf their target, and is capable of leaving a crater in the ground's surface. Traveling a maximum of 25-meters from the user at 25m/s in a single straight line, the fireball is capable of inflicting minor second degree tissue damage on contact with their target. [b]Description:[/b] A technique where chakra kneaded inside the body is converted into fire and expelled from the mouth, either as a massive 10-meter large sphere or as a 25-meter long, 5-meter radius continuous flame-thrower. The released flames will engulf their target, and is capable of leaving a crater in the ground's surface. Traveling a maximum of 25-meters from the user at 25m/s in a single straight line, the fireball is capable of inflicting minor second degree tissue damage on contact with their target. Description: Fire Release: Holy Purifying Flame is a weaker derivative of Divine Cleansing Flame designed to attack and disassemble incoming techniques. After completing the hand seals, the user exhales a large fireball approximately 10-meters in diameter. This fireball travels up to 25-meters from the user at speeds of 55m/s. Holy Purifying Flame can effectively destroy 1 technique of up to one rank above. In addition to this, Holy Purifying Flame can be used to attack, consume, and extinguish non-chakra enhanced fire. This fire does not deal damage to others. Description: Devouring Divinity is a basic ninjutsu technique designed to consume and defend from incoming jutsu. The user completes the hand seals and exhales a pure chakra, 10-meter radius wide projectile in a straight line in front of them, traveling 25m/s up to 10-meters away. This projectile is capable of stopping the momentum of an incoming jutsu and pulling the chakra out of it; in the event of intangible elements such as fire or wind, the user consumes the element and nullifies it within their body. For physical elements, the user pulls the chakra from the attack and nullifies it that way. Regardless of the method used, the user is capable of consuming and nullifying up to 1 technique of equal rank or lower. Additionally, after a technique has been devoured, the user may increase the duration of their next Ninjutsu technique by one post. [B]Description:[/b] Devouring Divinity is a basic ninjutsu technique designed to consume and defend from incoming jutsu. The user completes the hand seals and exhales a pure chakra, 10-meter radius wide projectile in a straight line in front of them, traveling 25m/s up to 10-meters away. This projectile is capable of stopping the momentum of an incoming jutsu and pulling the chakra out of it; in the event of intangible elements such as fire or wind, the user consumes the element and nullifies it within their body. For physical elements, the user pulls the chakra from the attack and nullifies it that way. Regardless of the method used, the user is capable of consuming and nullifying up to 1 technique of equal rank or lower. Additionally, after a technique has been devoured, the user may increase the duration of their next Ninjutsu technique by one post.